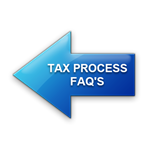 What do your Tax Prep services include? You will NOT see additional billing for questions throughout the year, verification letter requests for home loans, etc. We offer free assistance audit support. And we guarantee your satisfaction. Check out our client guarantee! It's your responsibility to provide all necessary information related to income, expenses and deductions. You must maintain appropriate records in your files…such as official tax documents you receive, receipts and substantiation for your deductions, and purchase/sales information for assets. It's also your responsibility to review your returns before they're filed to determine that all personal information and income has been correctly reported.